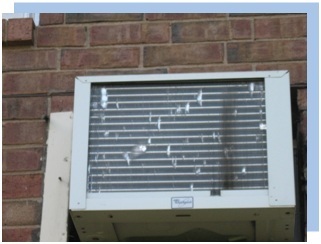 This AC unit has hail damage to the condenser coil and needs to be repaired. 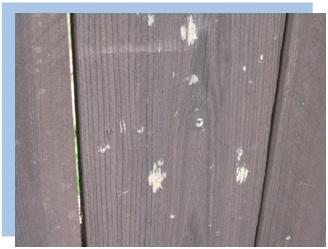 Hail damage to the fence that will	need to be power washed and re-stained. 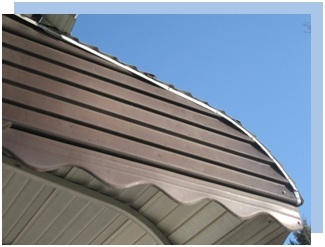 Awnings that will need to be replaced due to the hail damage. 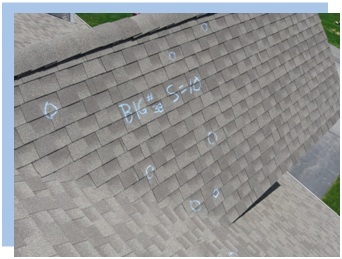 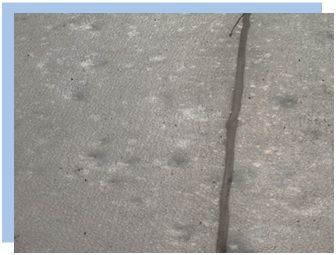 FLO-DELL Exteriors will determine the extent of hail damage thru the test square method. 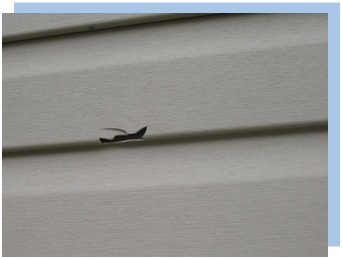 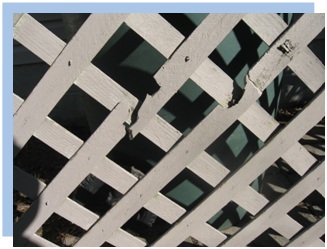 …or damage to 3 year old vinyl siding. 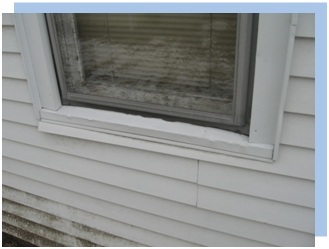 Windowsill and screen damage caused by hail strikes.